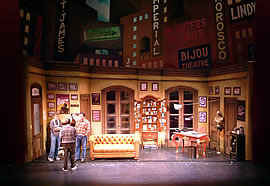 Hamilton Scenic is a reliable source for all your creative and theming projects. Call us today for faux finishing, sculpting, replicas, reproductions, small or large scale elements – we welcome them all! Hamilton Scenic takes traditional 2D ideas into 4D solutions with the magic of today’s technology! 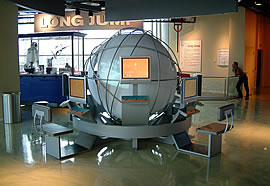 We can incorporate lighting, sound, graphics, scents and motion into your exhibits, props and sets. Hamilton Scenic helps produce visual excellence for audiences that want to immerse themselves in the story or show. We provide producers and designers with quality sets, props, backdrops and stages that never disappoint! 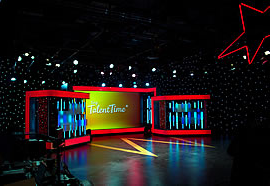 Whether you are looking for the latest interactive set or desk for your on air talent or seek to create a traditional or classic look, Hamilton Scenic can make the camera and producers smile! 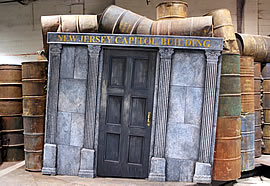 Call us today for broadcast and commercial sets and props!